Issue #2 covered the submisson of the FRL, in this issue we looks at the status of the National REDD+ Strategy. 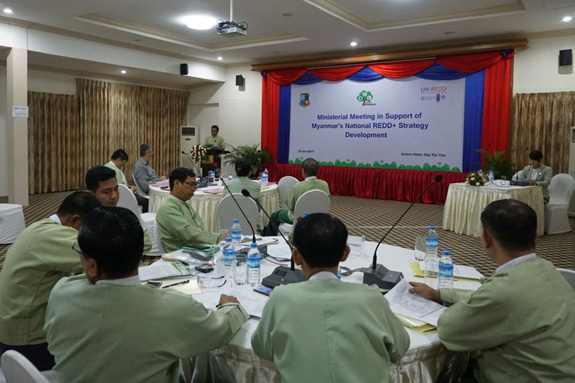 Over the past year, through a process led by the UN-REDD Programme, and involving inputs from members of Technical Working Groups, six ministries, and numerous other stakeholders, a draft of Myanmar’s National REDD+ Strategy has been prepared. It is now available for public comment on the REDD+ Myanmar website, here. Anyone can review and comment, and can make their comments anonymously, if they prefer. UNFCCC guidance states that a country’s National REDD+ Strategy needs to cover “drivers of deforestation and forest degradation, land tenure issues, forest governance issues, gender considerations and the [Cancun] safeguards…”. All these are very important in Myanmar, and views of different stakeholder groups on some of these issues are divergent. 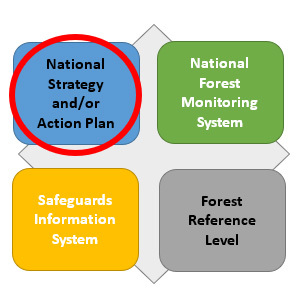 Also, the Strategy should outline what are the intended action to reduce emissions form forests – the so-called “policies and measures (PAMs). Currently the draft Strategy identifies 58 PAMs. These are currently being assessed in terms of the benefits and risks associated with them as well as their feasibility. It is likely that as the Strategy is finalized, some may be dropped, replaced by others, or modified. If REDD+ is to be successfully implemented in Myanmar, it is essential that Myanmar has a strong, clear Strategy, which all stakeholders can identify with. Implementing PAMs successfully requires cooperation among many stakeholders, so each group needs to feel that it understands and endorses each PAM. Therefore, securing broad feedback on the draft Strategy is so important. The process undertaken so far has been designed to be as inclusive as possible, but inevitably not everyone can be intimately involved in the process. The draft Strategy will be available for comment until the end of April. So this is your opportunity to make your voice heard – visit the REDD+ Myanmar website, and comment today!